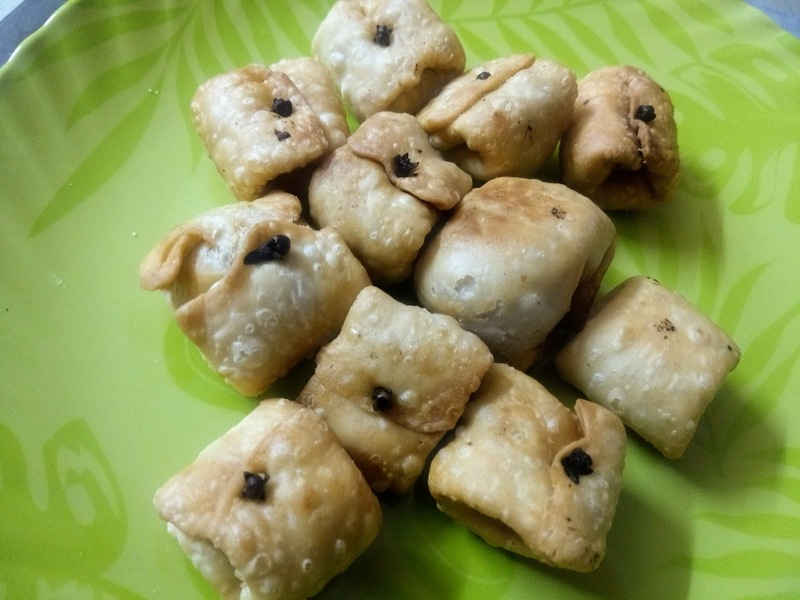 Pedakiya in Bihar or Gujiya in the north is very famous sweet in Bihar which is made especially during teej. 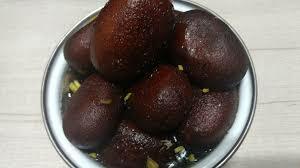 But my mother makes every year during Holi and we eagerly wait a year for this delicious sweet. 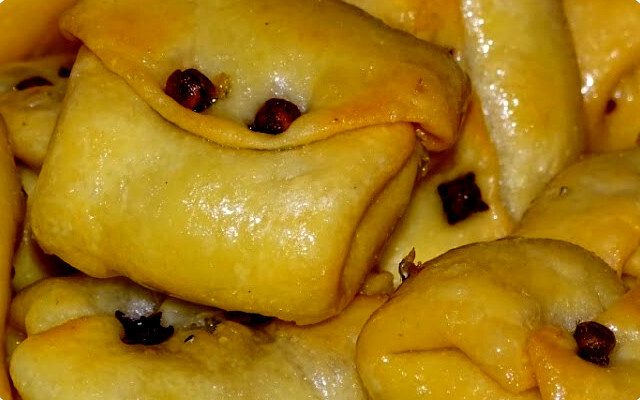 Gujiya or pedakiya is made with khoya or mawa, dry fruits and sugar. 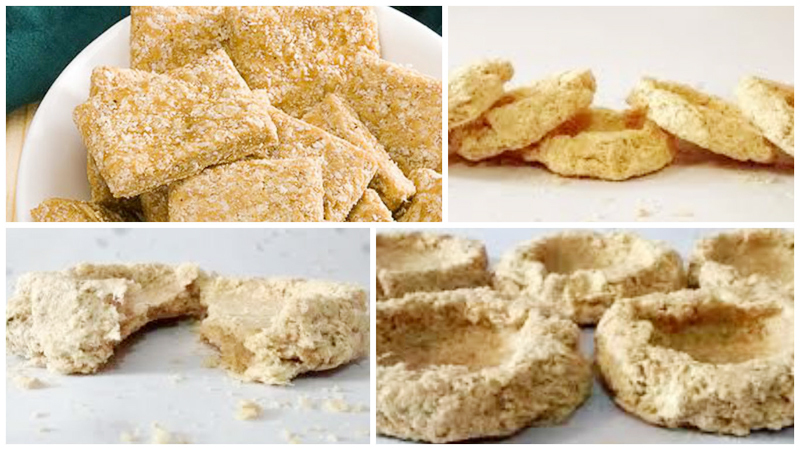 Since childhood, we see that our mother made khoya at home so I also try to make khoya at home every year. 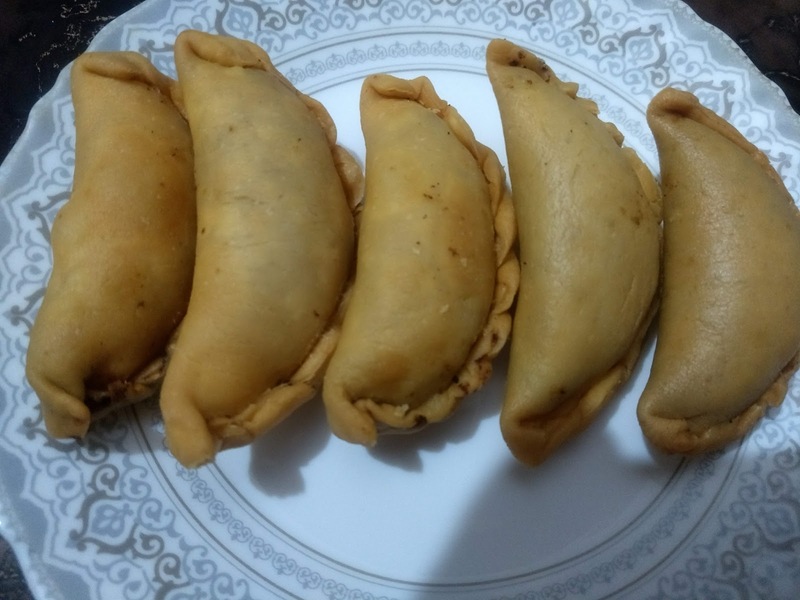 Gujiya or pedakiya are of two types with chasani or without chasani. 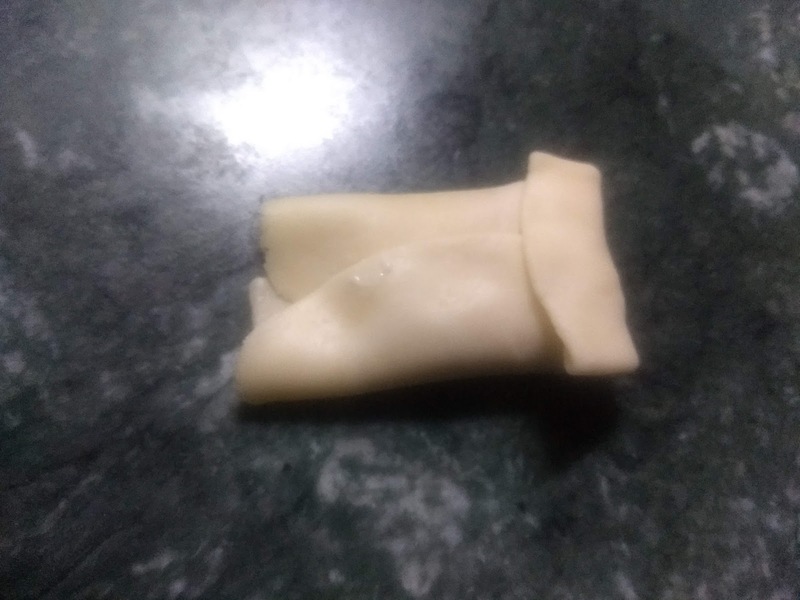 Here I make gujiya or Pedakiya without Chasani because my Husband liked it most. 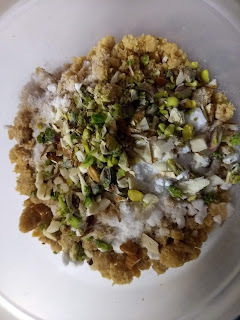 Crumble or grate the khoya or mawa in mixing bowl and add the powdered sugar. 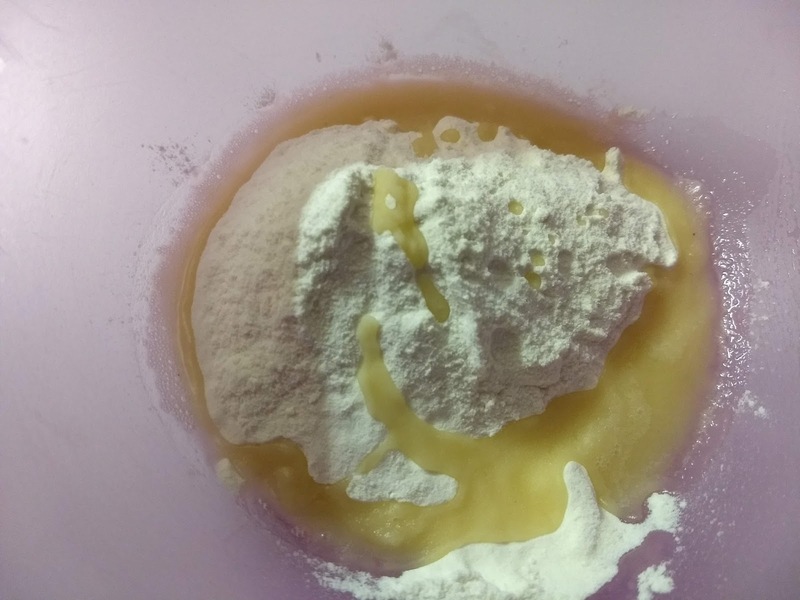 Mix with your fingers, until it is a coarse mixture. Now add grated coconut, raisins, cardamon powder. Sift the flour into a bowl and add the ghee. Mix with your fingers, till it resembles breadcrumbs. Make small balls with the dough, even smaller than golf balls. Cover them with a damp cloth to prevent them for drying. Or You can make big thin chapati and cut small discs with the help of small container lid. Now take one disc and place about 1 tbsp of filling on one half of the disc. Spread maida paste along the edges of the disc. Cover the filling with the other half of the disc to form a half moon. Press down on the edges with your fingers and make the design with hand or you can press the edges with the fork. 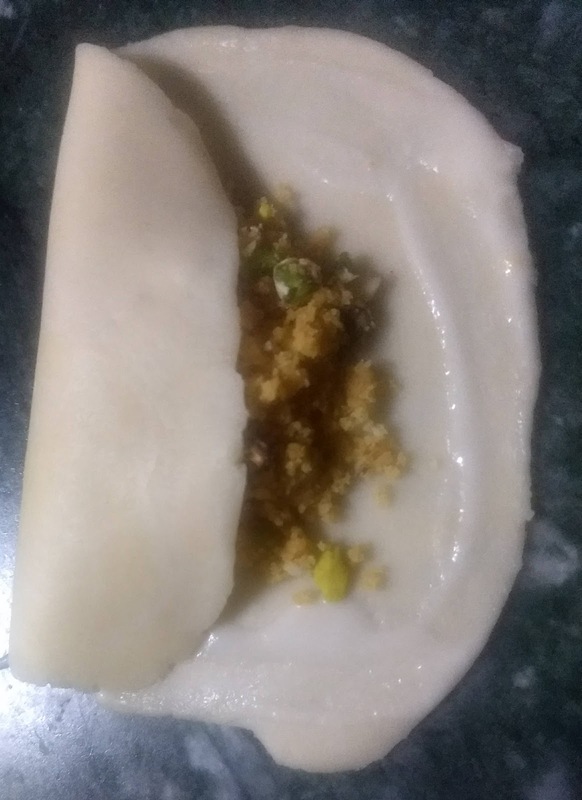 You can also use a special pedakiya or gujiya mould if you have one. Drain and place on kitchen towels to absorb excess ghee. 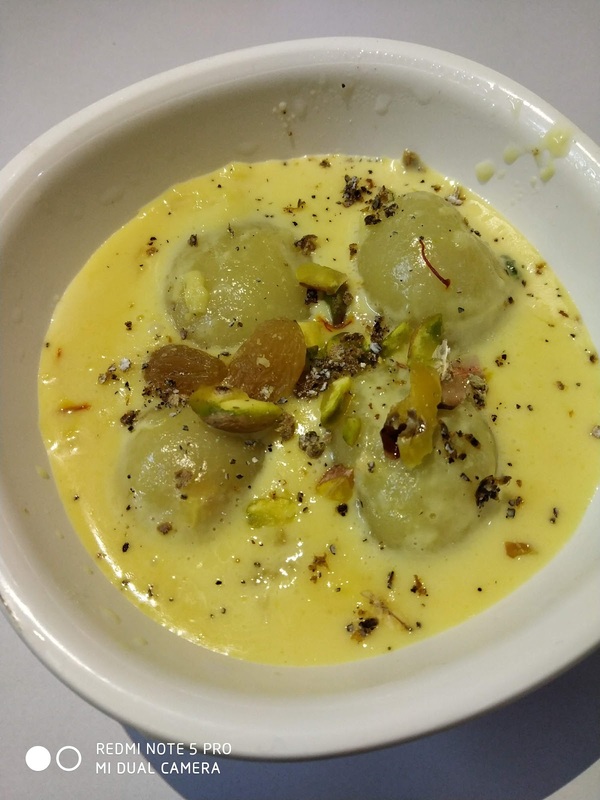 Doodh Pitha is the same as khoya ka pitha but cooked in milk and served garnished with dry fruits and nuts. 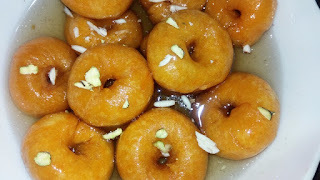 It is very popular sweet in Bihar. Serving - 10 - 12 Pcs. In a pan take water and add salt and ghee and boil the water. When water boil adds rice and mix well with water and switch off the flame. Cover with lid and give rest for 4-5 minute. After 4 -5 minute knead the dough until the dough become soft. Now make small size balls and keep aside. Take one ball and make hallow and fill the stuffing. Seal the mouth of a ball so that stuff does not come out. Make a round ball and keep aside. 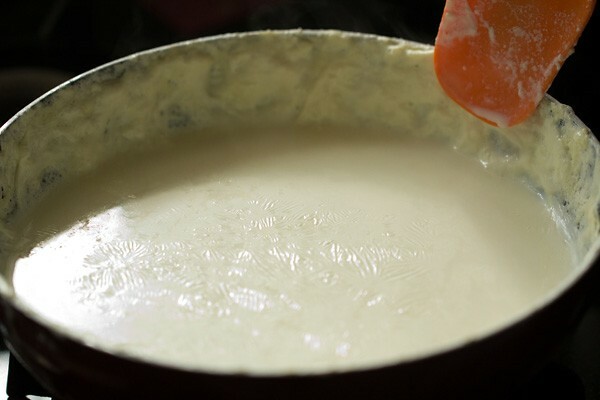 Boil the doodh in a pan. When milk is boil add rice balls in it. Poach the ball into milk for about 8-10 minute on a low medium flame. When the rice ball poaches in milk just take out from milk and keep in a plate. Boil the milk until it reduces to half. Now add rice ball again for 1-2 minute. In a bowl pour doodh pitha. Serve it cold or hot as you want. 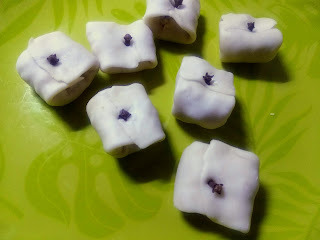 Khoya pitha is similar to doodh pitha. In khoya pitha, poach rice balls in the water. Poach rice balls for about 5 minutes in water. When balls float on top of the water, it means it cooked. Removed balls from water and keep in a plate. 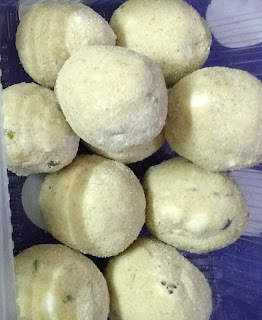 When it cool, enjoy khoya pitha. 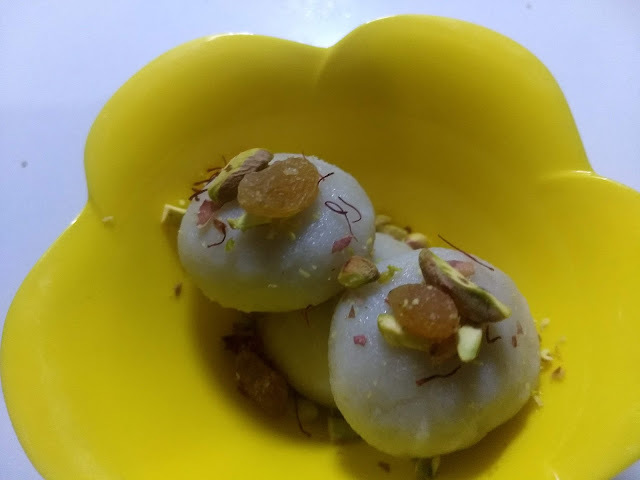 This is also one of the famous sweet from Bihar made with maida, khoya and dry fruits. Take a lemon sized dough and roll into the thin square sheet and fill khoya and dry fruit mixture and fold and stick one long on it. 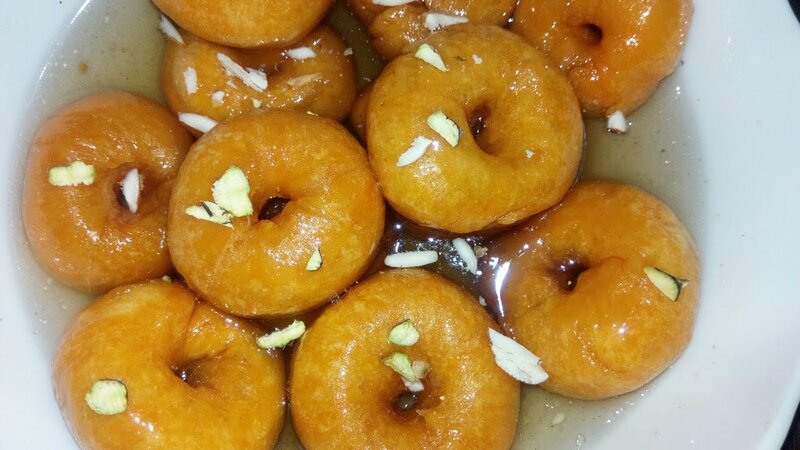 Deep fry in ghee and dip into the sugar syrup. Tastes good when served hot. Serving - 12 - 14 Pcs. Sift the flour into a large bowl and add the ghee. Mix well with your fingers, till it resembles bread crumbs. Sprinkle water and knead to form a smooth dough. Cover the dough and set aside to rest for 15 - 20 minutes. Mix all ingredients - khoya(I use homemade khoya), powdered sugar, almonds, pista, cashew nuts and raisins. Knead the dough again for 1-2 minute. Make balls with the dough, about the size of puri/ about two-three diameter discs. Roll balls into thin puri or discs and keep aside. Now, Take one puri put one tbsp of stuffing in the centre of puri or discs. Apply maida paste around on the edges of puri/discs. 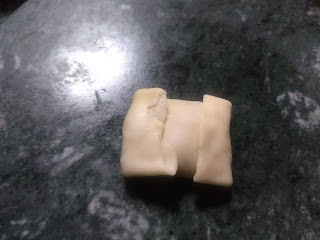 Now, fold to form a square sealing firmly. Use a clove on each laung lata for holding it firmly. Melt the ghee in a kadhai or wok over moderate heat. Reduce the heat and deep fry till Laung Lata. Ghee should be not warm. Fry it at low to medium heat till golden brown from all sides. Once fried, drain the ghee and take out the laung lata. Put the sugar and water in a deep, heavy-based pan. Simmer, stirring occasionally, till the sugar is completely dissolved. Continue cooking for about 10 minutes without stirring, till the syrup reduces. Drop the hot fried laung lata in warm sugar syrup or chasani. Soal laung Lata in chasani from both side about 10- 15 minutes, so that it soaks chasani deeply. and it becomes soft and juicy from inside. After 10- 15 minutes , drain it out from sugar syrup or chasani. Keep it on a plate or tray and laung lata are ready. Serve it warm as a dessert. While serving pour some warm chasani on it and serve. Enjoy mouth-watering Laung Lata. 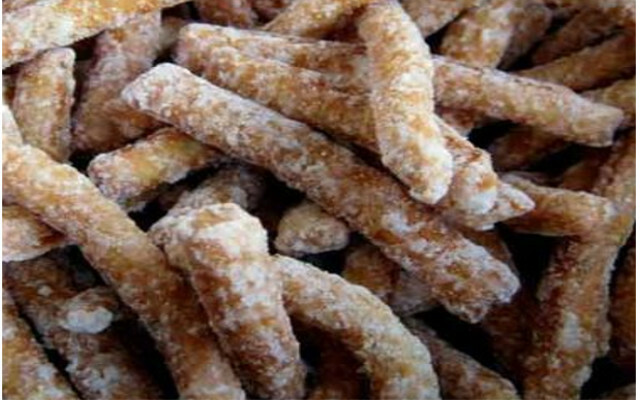 A khaja is a deep-fried sugar coated tempting dessert from Bihar. 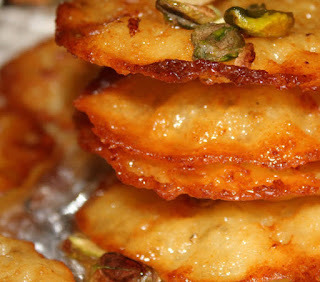 Khaja is a most popular bihari sweet during wedding celebrations. There is a tradition to give Khaja with other sweets to the daughter when she goes to their in-law's house just after marriage (Bidai). Make balls with the dough, about the size of golf balls. 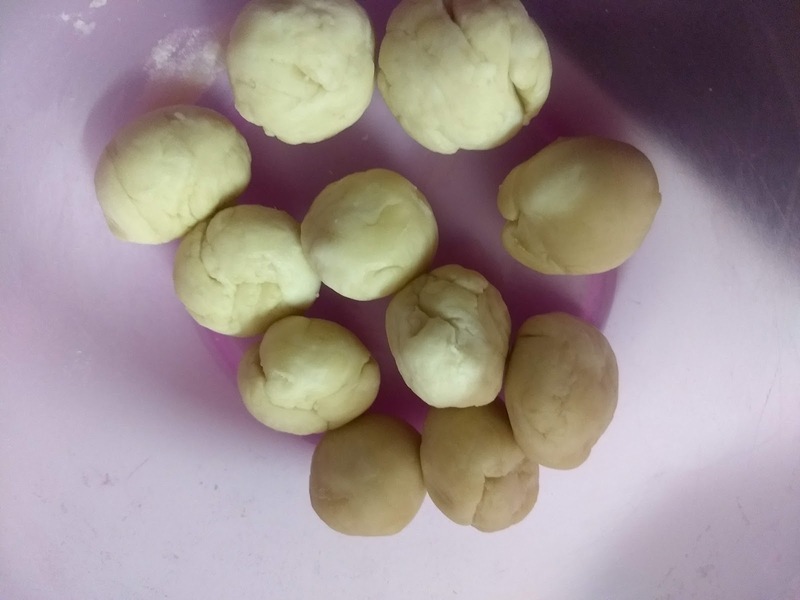 Roll 4 balls into thin and large chapati/disc or in rectangular shape. Dust a little flour on your work surface and place chapati or discs on it. 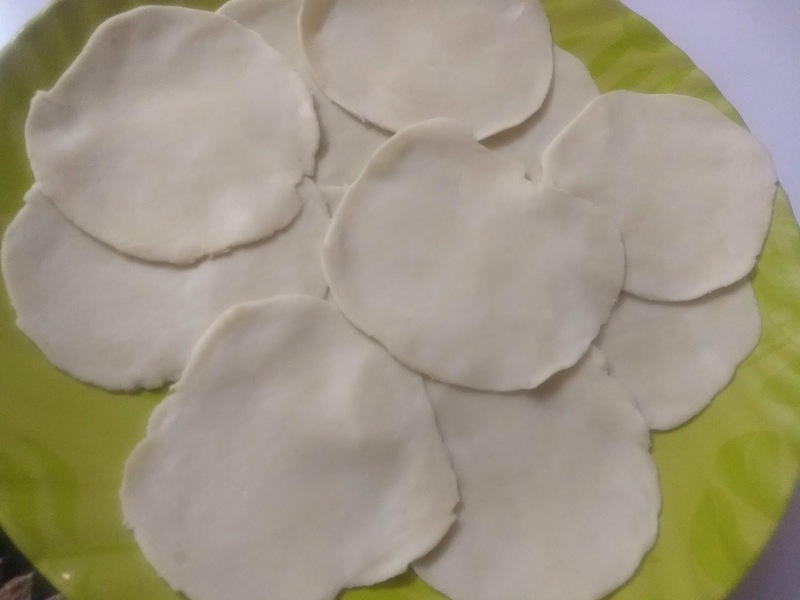 Spread ghee paste on disc or chapati and cover with the second disc. Repeat the same process with third and fourth one discs or chapati. Spread more ghee paste over the fourth disc or chapati and roll the stack of discs or chapati into its cylinder. Cut the cylinder into 1/2 inch piece. When you cut you see the multiple layers inside each piece. Roll each piece gently into 3 - 4-inch discs. When you put khaja into oil, it puffs than with help of two bamboo sticks open it all layers. Dip the khaja into sugar syrup or chasani and take out immediately. Serve the Khaja when they become cold and crisp. 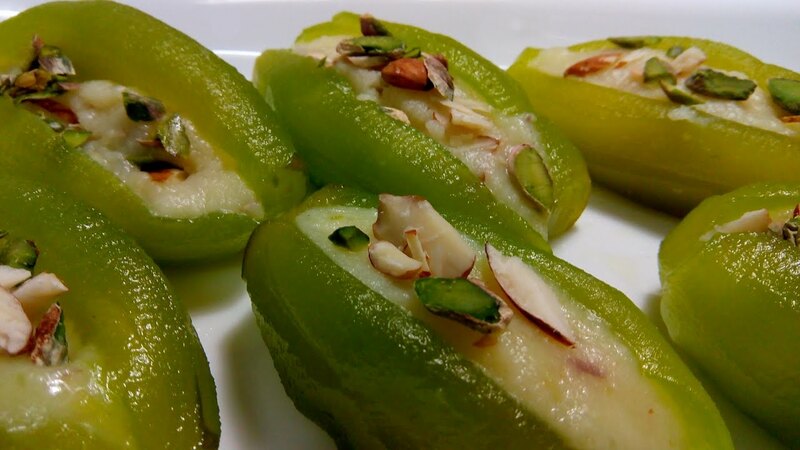 Welcome to the sweet section of Bihari cuisine. There are large variety of sweet delicacies in Bihari cuisine. I mentioned some famous sweets of Bihari cuisine. 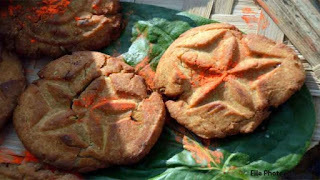 Khaja- Between Rajgir and Nalanda lies a small place called Silao, which is famous for Khaja – a patty like sweet or salted dish. People of Bihar love to eat khaja especially silao ka khaja. 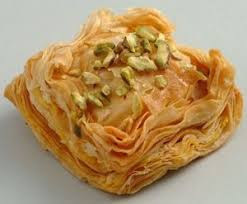 There is a tradition to give Khaja with other sweets to his daughter when she go to their in laws house just after marriage(Bidai). 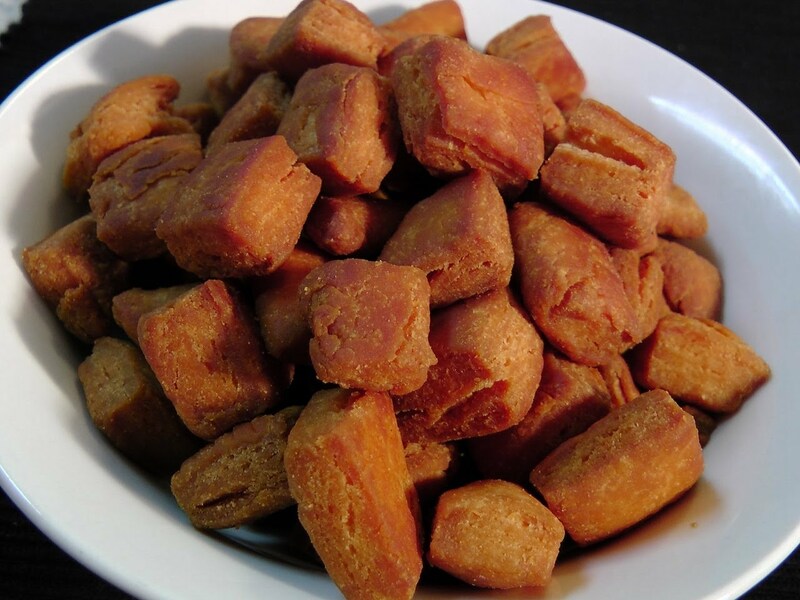 See the complete khaja recipe here. Tilkut (Til Burfi)- Tilkut is a sweet made in the Indian states of Bihar and Jharkhand. This is also known as "Tilkatri". 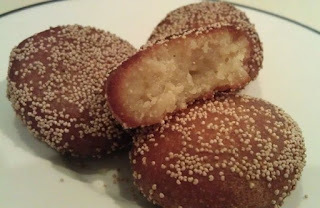 It is made of pounded 'tila' or sesame seeds and jaggery or sugar. 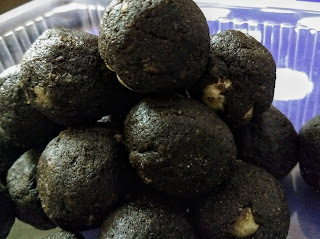 The best tilkut is said to be from Gaya. 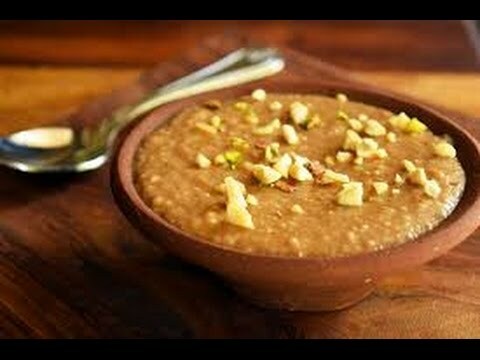 Malpua- Pua/Malpua is a traditional Bihari dessert that is relished particularly during Holi. 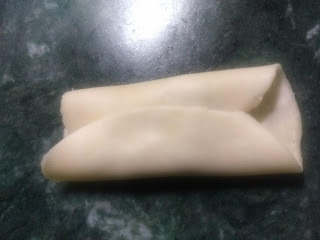 During Holi, my mom also makes delicious malpua for which we wait whole year. I also learnt from my mom. Malpua made by mixing maida, sugar and banana in milk and then add dry fruits like almonds, raisin and then deep fried in desi ghee. Lastly, dip malpua in to the sugar syrup and enjoy hot malpua. Rabri- In Bihar people love to eat malpua with rabri. Gur ki kheer- mainly prepared in Bihar during Chhath festival.Gur ki kheer made on the second day of CHHATH Puja in the evening. This kheer is made with rice cooked with milk and then add gur or jaggery and then cooked until gur is mix well with rice and milk and then add dry fruits. Thekua- Thekua is also called Bihari cookies which is made with whole wheat flour or atta mix with jaggery and ghee and mix well until it becomes crumble like texture and then make dough and make in different shapes and then deep fried in to the ghee. Thekua is prepared during CHHATH Puja as a main prasad which are made by family members at early morning which is offer to the GOD Sun in evening at the time of sunset and in next early morning during sunrise and after puja give Thekua to the devotees. 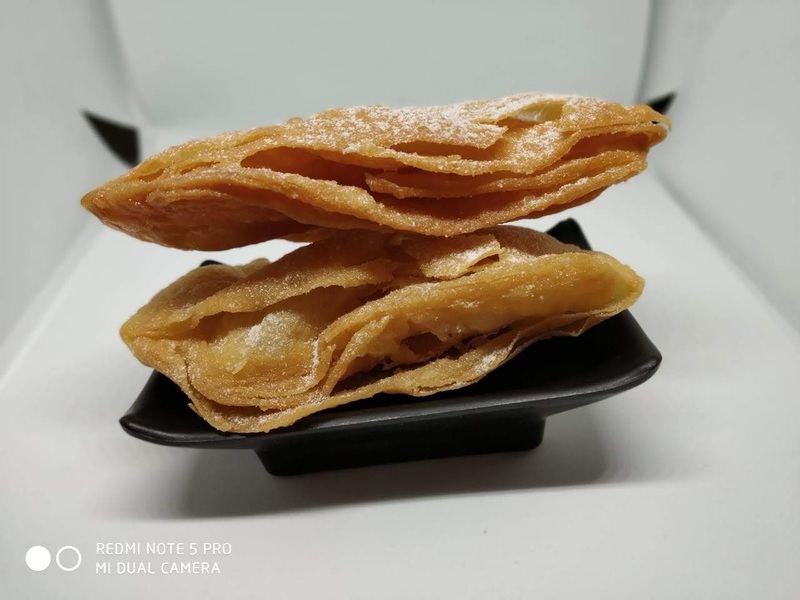 Khurma And Laktho- Khurma also known as shakkarpara is another sweet snack from Bihari food and cuisine that is made of flour and salt, deep fried in oil and dipped in sugar syrup. The sugar syrup cools off and crystallizes to give a powedery outer texture. 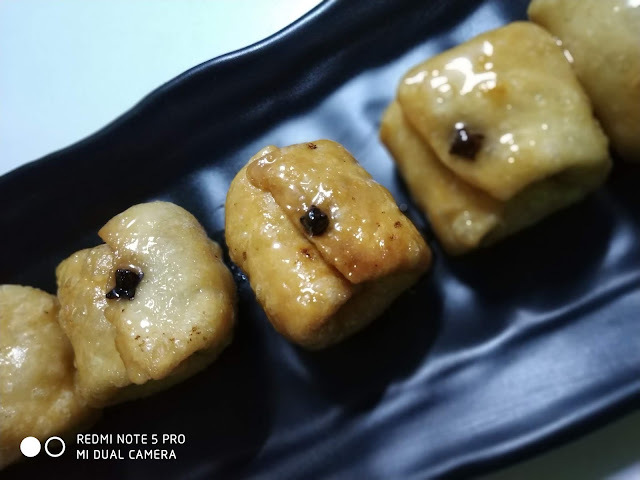 If you use rice flour dough and a thick jaggery syrup, you get another variant called Laktho. Both of them are really sumptuous to munch on. Balushahi- One of the most popular Bihari sweets, Balushahi, fried in desi ghee is among the most exchanged sweets during festivities. Silk-city, Bhagalpur is famous for its melt-in the mouth balushahi. Anarasa– In my home my mom make anarsa especially during holi and diwali. 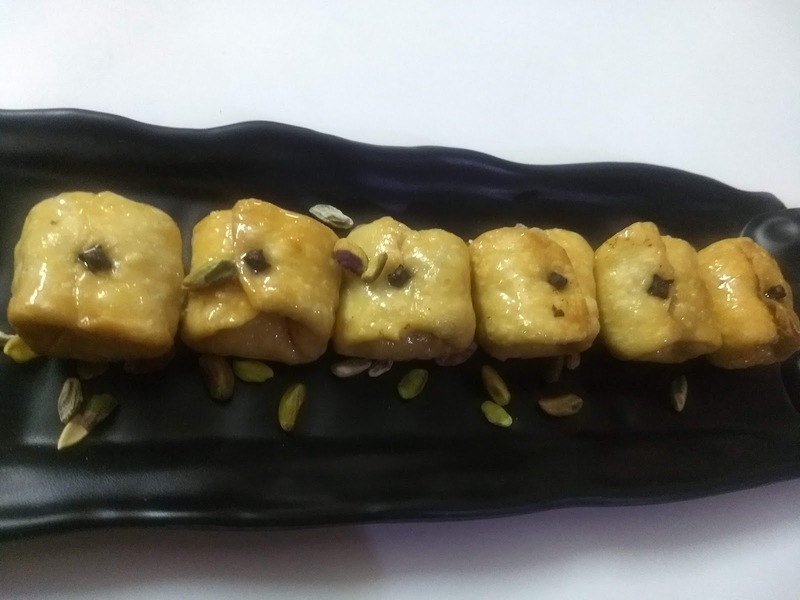 Anarsa is made with rice flour, sugar or jaggery, white sesame seed or safed till, khoya, cardamon or elaichi powder, dry fruits and desi ghee for deep frying. 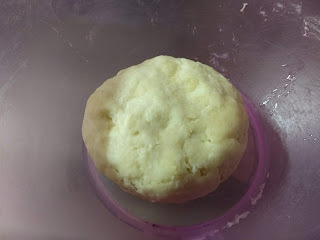 It is made by cooking rice flour in boiling water on low heat for 5 minutes and cool down and make a smooth dough. Prepare the mixture of khoya, elaichi powder dry fruits and sugar powder. Then take lemon sized ball rice flour dough and fill khoya mixture then coated with till and fry in desi ghee. 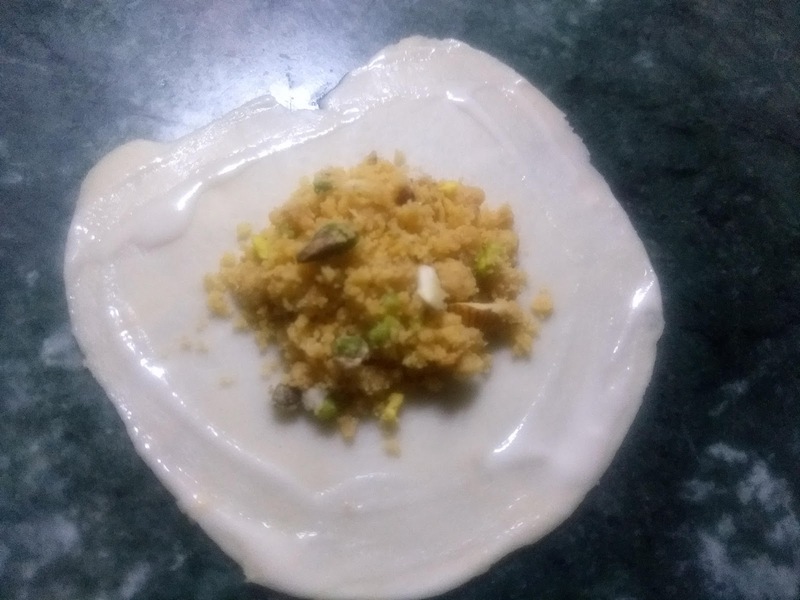 Laung Lata- This is also one of the famous sweet from Bihar made with maida, khoya and dry fruits.Take a lemon sized dough and roll in to thin square sheet and fill khoya and dry fruit mixture and fold and stick one long on it.Deep fry in ghee and dip in to sugar syrup .Tastes good when served hot.